Picture this scenario: you want to buy a new property. At the same time, you are thinking of selling the property that you already have. However, there is still no one willing to buy your existing property. Still, you want to buy that new property. What can you do in this situation? Let me tell you about bridging loans. 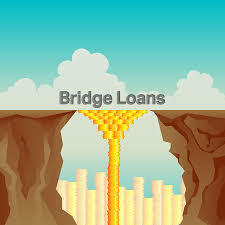 Bridging loans are short-term loans that you can get, preferably from a licensed money lender, that allows you to 'bridge' the gap between your next property purchase and your current property sale. A licensed money lender often offers these loans for between one to 18 months. It can act as a vital recipe in making a property purchase dream into a reality that would otherwise be not possible. There are two types of bridging loans, namely, open and closed bridging loan. These mainly differ regarding your exit strategy with this short-term finance. An open bridging loan has more tentative elements than a closed bridging loan. In this option, you opt to have no firm dates, and your current sale may have no set buyer yet. On the other hand, a closed bridging loan is a type that is usually time-bound, linked to the timetable of your current property sale. You have a firm date on the repayment, and you should comply accordingly. It is essential to ensure that you are getting a bridging loan for the right purpose. Quick purchase of property – These purchases include auction purchases and properties. Getting a bridging loan is becoming a trend since private banks often take a longer time to process applications. Simple alternative to mainstream loans – Some view this quick and short-term loan as a means of replacing the usual credits, with more risks than traditional loans. Also, you should take into careful consideration the viability of your repayment method. How will the loan be repaid? Does the term of the loan give you enough time to find a buyer and complete the sale? If you are thinking of getting a longer-term loan, will acquiring a bridging loan not hinder your chances? Another thing you should consider is the loan provider whom you'll trust with the process. Find out one of the best bridging loan brokers at the end of this article. Total Cost – Bridging loans get quite expensive than the traditional and usual loans out there. Future loans application could be slowed down – Your prospective money lenders would want to see evidence of a clear repayment plan like taking out of a new mortgage or paying with cash from a property sale. Failure to repay may cause significant issues – This is similar as with other loans as a bridging loan is still a debt. You have a considerable liability to settle it. Not being able to pay the lender may lead to repossession and higher costs. Fast processing – In under 14 days, your application can be accepted and processed, making funds readily available just like that. This advantage is probably one of the primary consideration and driving point of people getting this loan. Competitive bridging market – Since this kind of loan is getting much attention, the bridging market is competitive more than ever. This competition leads to a reduction in interest rate. And this is excellent news for you. The interest rates can go as little as 0.37% per month. It can also go lower than that as time goes by. Get that capital right away – Related to the quick application offered by licensed money lenders, your bridging loan can help you have assets like a business when your cash flow is tight. These assets will aid you in comfortably settling that loan. Purchasing an impossible property – By impossible, this means properties that couldn't be bought by other types of borrowing. This includes uninhabitable properties. Ever dreamed of reconstructing an old and rusty house into a restaurant? Acquiring a bridging loan could help you purchase the once uninhabitable property and work to get that vintage restaurant. Acquiring a property without a deposit – This becomes possible when buyers purchase properties at a cost lower than it's worth. In this situation, lending is often based on the full value of the property, and a bridging loan could help you. Whether you are a landlord or an amateur property developer or someone in between, you can avail a bridging loan with no stress and fuss. Don't hesitate to access contact the best bridging loan broker and discuss the requirements needed at http://bridgingloanfast.co.uk/. Take that first step towards your dream property purchase.